Yes, who could possibly have foreseen that the guy who wants to increase our military budget by $54 billion while cutting funds for Meals on Wheels might have a hankering to use military force? But don’t worry! Milo’s opposition to “POINTLESS FOREIGN WARS” — as he put it, in all caps, in his brief message to Mediaite — doesn’t mean he’s suddenly become a decent person. Far from it! I’m as troubled by violence toward innocent children as the next sociopath, but those kids are only growing up to be oppressors of women and murderers of homosexuals anyway. So everyone in Syria who practices a certain religion deserves to be killed, even the children? 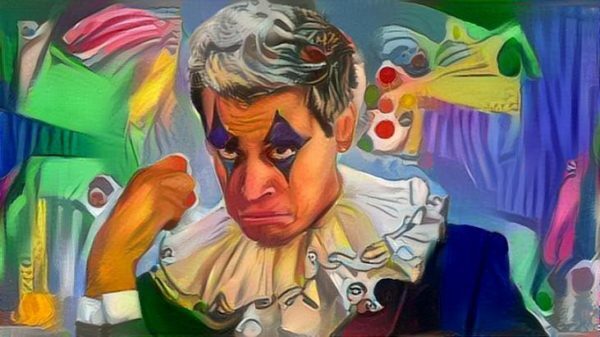 Milo Y may no longer be a Trump fan, but he’s still a fascist at heart! More Fake News. Woke up and thought I was on CNN site. Bravo , I applaud your attempts at sub mediocrity you call journalism! I’m fairly certain that this site bears very little resemblance to CNN. “Is this what you call journalism?!??! ?” trolls are my favourite. No, child, this is what’s called a blog. I think it’s because they mistake whatever alt-right and/or conspiracy theory propaganda blogs they favor for journalism. So they assume that progressive blogs are bad or fake news rather than the blogs that they actually are.